This breakfast has a very high glycemic index. Glycemic index is a way of measuring how high and how fast our blood sugar rises after we eat carbohydrate (carbs) containing foods. After we eat foods with lots of cabs, our body breaks them down into sugar, which spikes our blood sugar. Foods that are high in carbs but low in fiber, protein, and fat, will cause a huge rise in blood sugar. Proteins and Fats are absorbed slowly so they do not cause a spike in blood sugar and they do not have a glycemic index. Once the blood sugar spikes, the body produces tons of insulin. Once insulin rises fast and high, it shoves the sugar from carbohydrates and sugar from food into The Fat Cells. These fat cells do not release the sugar, it is stored and causes inflammation and increasing waist size. Thus, within about 45min-1.5hrs your blood sugar drops and you feel like you have eaten nothing. You are starving. Fatigue and headache set in. Low blood sugar = headache and fatigue. In other words, by the end of first block you are ravenous and devoid of energy. At work, by 9:30-10ish you are so hungry that you start snacking on the office candy jar. Then we have the juice that has 37gms of carbs + 33gms of sugar (or 11 tsp of sugar) = a sugar explosion. Wait, wait, wait. But OJ is good for you ? It has Vit D in some cases, and Vit C.
The juice is squeezed out of fruits, so fiber is removed. But it still has tons of vitamins, antioxidants, and sugar. The juice is then placed in giant vats and boiled at high temperatures for a varied amount of time. This is called Pasteurization and this is how juice can stay on shelves with expiration dates lasting years or months. Once anything goes through the aforementioned boiling process, everything is killed but the sugar and carbs. 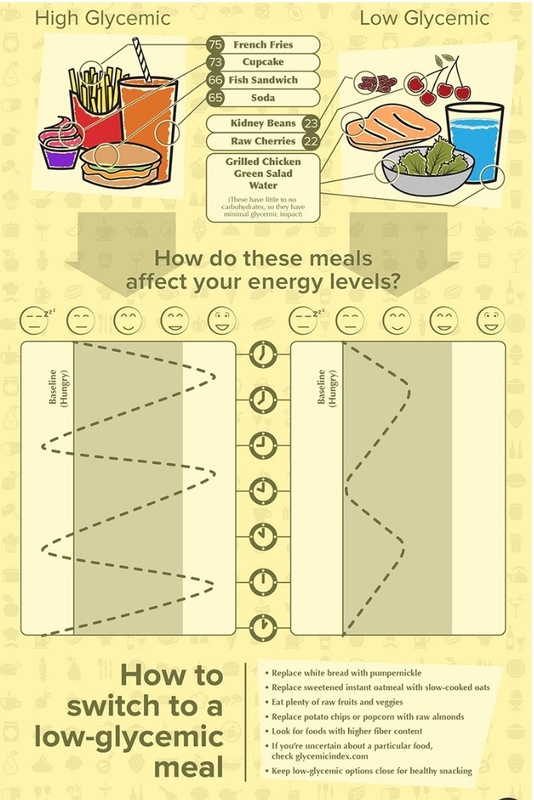 Let’s take a look at what happens to your body and mood through the day when you constantly eat high glycemic index foods. Lastly, this is why those trying to loose weight and are consuming a high glycemic index diet cannot seem to shed the pounds. All that converted sugar gets stored into fat cells that just keep it and don’t let go of it. By not letting go of it, people are tired and hungry and crave more carbs. (This is one of the reason people on diets always feel hungry) The instating sugar spike makes people feel better in 15-30min, but then you feel tired and headachy within 45min to 1 hr. And this repetition of high/low sugar can cause a very bad mood, irritability, anger, frustration, and not to mention constant illness. 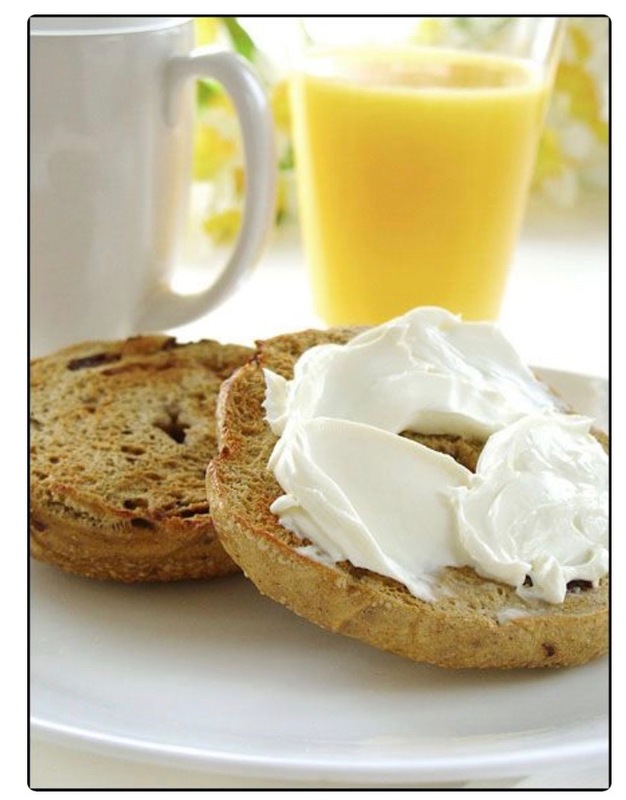 Eating Whole Grain Bagels adds fiber to the carbs, thus slowing the sugar spike. 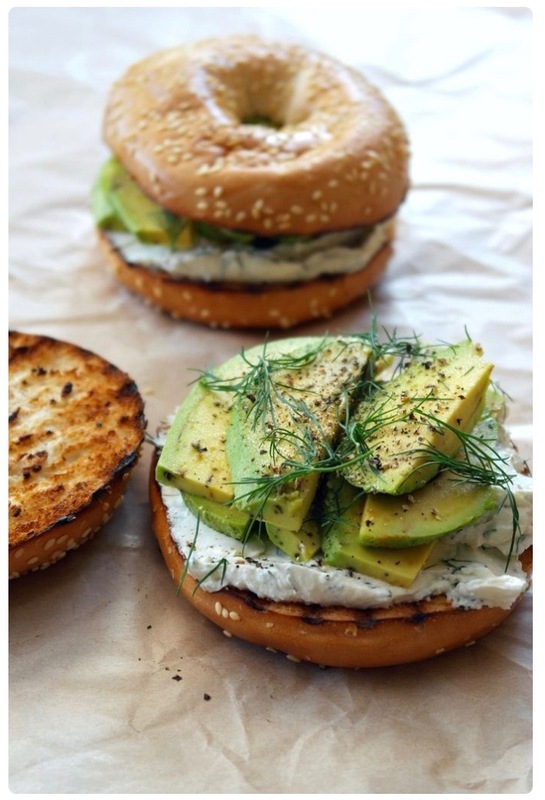 Adding protein and healthy fats to bagels, reduces sugar spike, keeps insulin level, presents headaches and fatigue and memory loss. Veggies like Avocado provide healthy fats, proteins, vitamins. Side of fruit/berries for antioxidants and fiber. 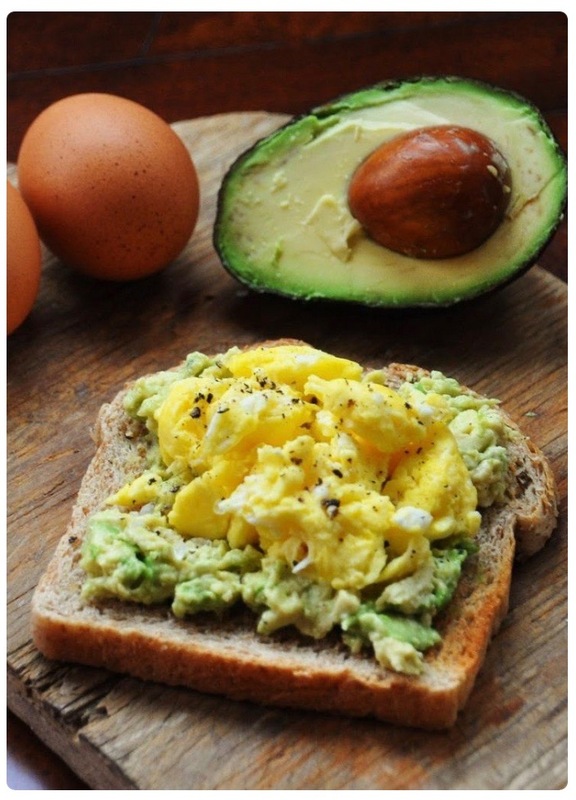 Eggs add iron, Vit D, B12, protein to name a few. 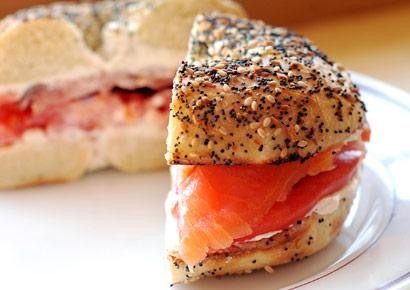 Smoked Salmon provides Omega3, protein, fats. Nut butters are great healthy fats and protein. Top with bananas or berries.